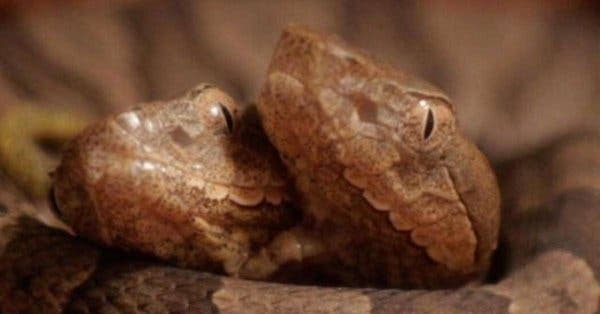 Kentucky wildlife officials said a two-headed copperhead snake will be introduced to the public at a state wildlife center. The Kentucky Department of Fish and Wildlife Resources said the snake was born in the wild earlier in October and discovered by a Leslie County couple in their yard. The couple donated the live baby snake to the Salato Wildlife Education Center in Frankfort, where it will go on display to the public for the first time. "I may encounter a two-headed snake in the wild every two or three years but a two-headed copperhead is a first for me," Kentucky Department of Fish and Wildlife Resources State Herpetologist John MacGregor said in a news release. "It is a really interesting animal to have on display and a unique opportunity for the public." The snake will be on display until the center closes for the season Nov. 21.